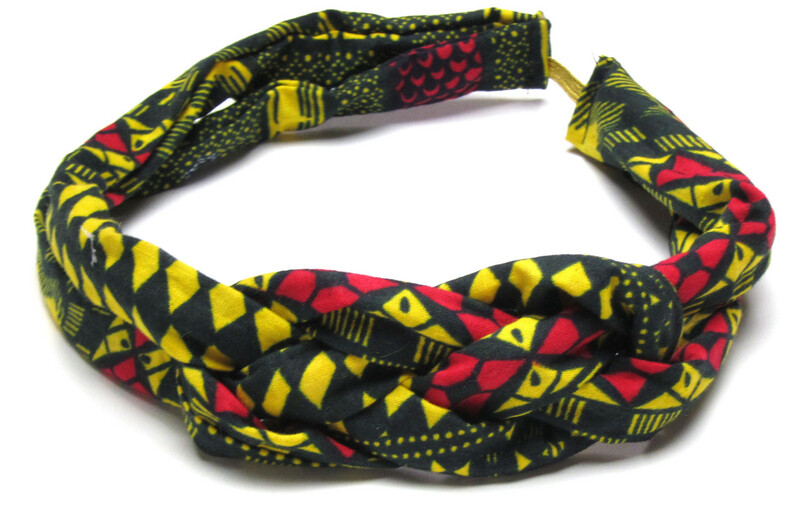 African printed fabric handknoted. Knot is to be worn off center. One size fits most, elastic closure for easy on and off.